What a trip to cap the year! I have been looking forward to this trip for months, and speculated endlessly about our itinerary. When I received the itinerary, I ended up having to Google every place listed, because I did not know any of them, apart from Nagoya, Takayama, and Shirakawa-go, which was actually perfect, since I’m all too happy to go off the beaten tourist path, specially in Japan. The Chubu region shows plenty of promise, and it’s an amazing place to explore. If you love history, heritage, nature, and small towns and cities, this is the place for you. I liked Osaka, Kyoto, and Tokyo, but it can get too crazy and crowded there, so I take refuge in smaller, quieter places in between. The timely start of more flights to Nagoya from Manila will surely see more Filipinos going beyond the usual destinations in Japan, and I do hope they will explore the region. 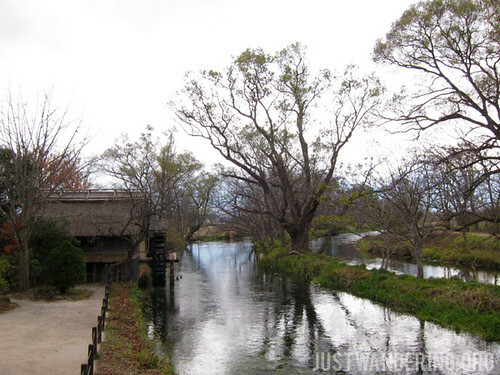 There’s so much to see and do in Chubu, outside of the activities we did during the trip, and you can surely find one that suits your interest. Personally, I thoroughly enjoyed the heritage towns and cities like Takayama, Shirakawa-go, and Magome. I would love to go back to either one of those, and stay overnight (or two nights even!) in a ryokan and just wander around the town. Another place I would like to revisit would be the Shin-Hotaka Ropeway. Maybe during spring, when it’s starting to warm up, yet there’s still snow in the mountains. Actually, I’d like to just stay in an onsen town and soak until I’m all prune-y. Though I am averse to crowds, I would like to go back to Gujo for the Gujo Odori, or their annual summer dance festival. That’s probably a result from exposure to the cheery and enthusiastic dance teachers at the Gujo Hachiman Kinenkan Tourist Center. 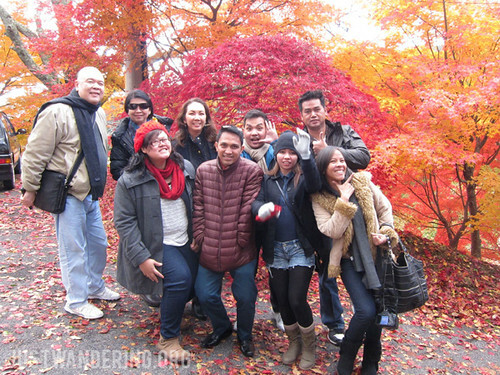 Our four-day trip was made even more enjoyable by Yoshi Tomiyama, tour guide extraordinaire. She was always in high spirits, sharing funny stories, cracking jokes, and asking all our questions and requests as best as she can. If you’re Japan-bound and looking for a local guide or an interpreter (especially in Nagoya and surrounding areas), go for Yoshi. 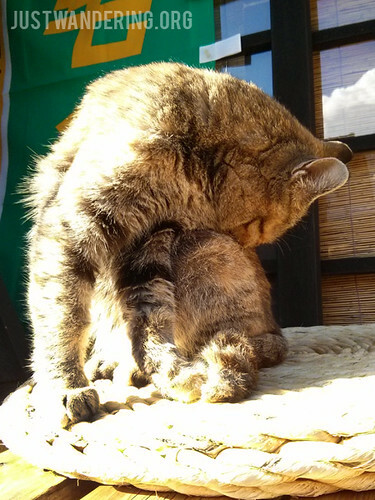 You can reach her through her e-mail, gregi_chez@yahoo.co.jp. This trip showed me that there are so much to explore and discover in Japan. Though we’ve been all over Chubu in those four days, there are still a number of things I would love to do, like the Tateyama Kurobe Alpine Route and seeing the Snow Monkeys of Jigokudani Park. Maybe next year? Thank you so much to the Japan National Tourism Organization for this unforgettable experience! oh i would love to see japan. Great Post Nina. What a joy to read. thank you so much! keep posting! hello nina. I love your trip here in japan. I enjoy reading your travel blog as always. Can I suggest you to include more more of more photos like gazillion from all your travel blog entries?? Godspeed Nina!!!! Hahahaha thanks Cyrus! I upload the gazillion photos to the Just Wandering Facebook Page. I just haven’t had the chance to process them all yet; been too busy! Hello Nina how are you! Long time no hear?! God bless and hope to see you soon.. This is very interesting your blessed to experience such things . Nina, let me share your article on my FB page. Thank you for writing such a wonderful story. Yes please, share it Yoshi! Thanks! I had a lovely time in Japan then, and had a great time when I returned last week!